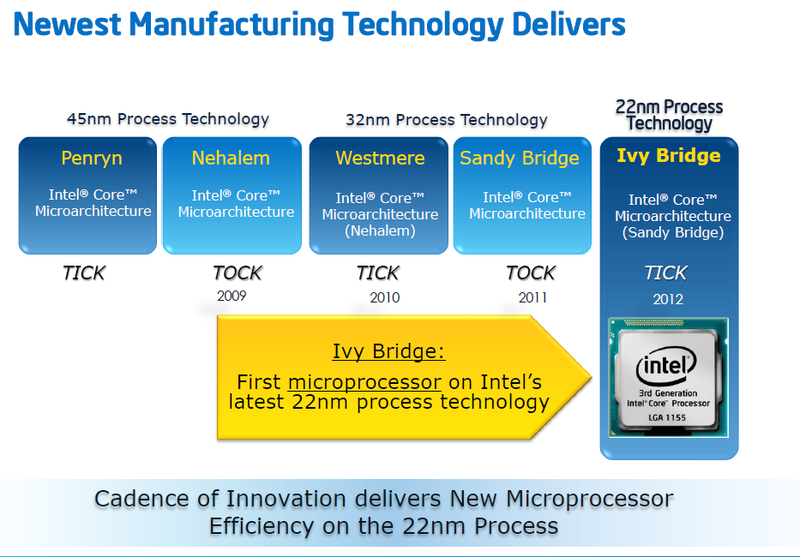 Ivy Bridge is built around a 22nm process which will probably lead you to thinking that you can get more speed, more voltage and better temps than what you did with Sandy Bridge. Well… you are going to be right later in production. Remember that as you reduce the process size the potential for leakage at the transistor power gates increases. At 22nm things can get leaky indeed if you are not prepared for it. Intel does have the HKMG (HighK Metal Gate) which helps, but does not prevent leakage entirely. It is also important to remember that the GPU on Ivy Bridge is much more integrated into the way the CPU works than under Sandy Bridge (which was a mature 32nm process). In the long run this means that you are not going to get the giant overclocks that we saw with Sandy Bridge right out of the gate. This does not mean that overclocking is going to be a letdown or that you cannot push Ivy Bridge, it just means that your upper limit will be lower and pushing past the initial stopping point will be a more delicate operation than what you might be used to. 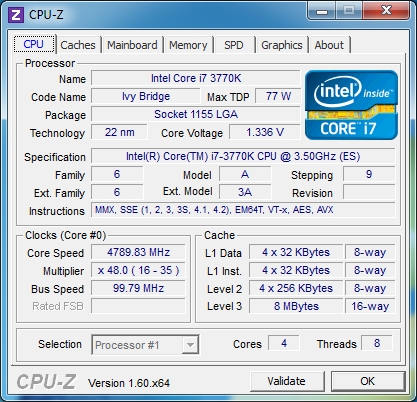 In the end we were able to get a respectable 4.8GHz out of our Core i7 3770K with a modest 1.331Volts running through it. A word on heat here; even with only 1.331 Volts the Core i7 3770K got very warm during testing. At one point when we were finding out the lowest stable voltage of 4.8GHz we saw the CPU hit the TJMax of 105c during one of our tests (and this was with our Epic180! ), the system shutdown and we gave the 3770k some time to rest and cool off. Hitting this high of a temperature multiple times is not recommended as at 22nm even small amount of thermal reshaping can be disastrous. If you are going to overclock Ivy Bridge make sure you have some excellent cooling!